World. The way I see it. Couple of weeks ago I visited San Diego for a brief vacation. On one day I went to the San Diego Zoo, which had rather impressive reviews everywhere but was a bit disappointed as it was nowhere near good as they claimed to be. The next day, we headed for the SeaWorld San Diego, and this time I had my reservations. But unlike the zoo this was totally worth it; they had all sorts of performances with seals, killer whales and dolphins and was simply amazing. 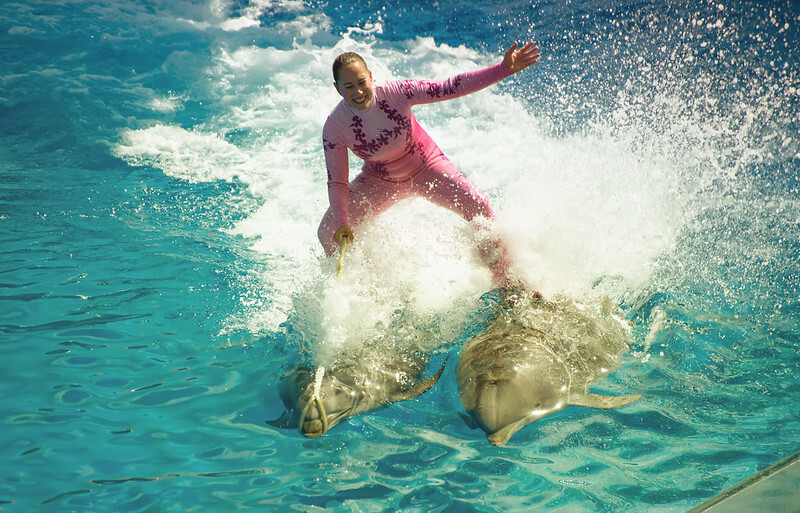 This was the show with the dolphins, and I was able to catch this moment which thought was pretty cool!